Man And Robot Meet And Handshake. Concept Of The Future Interaction.. Stock Photo, Picture And Royalty Free Image. Image 59181828. 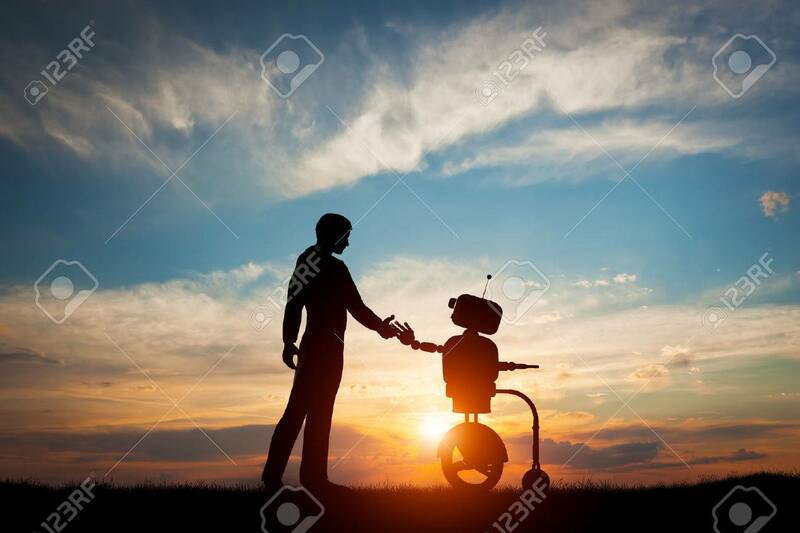 Stock Photo - Man and robot meet and handshake. Concept of the future interaction with artificial intelligence. 3D rendering. Man and robot meet and handshake. Concept of the future interaction with artificial intelligence. 3D rendering.